Offbeat Safaris was established in 1990, beginning with mobile horse back safaris and then further expanding the collection to include traditional safari camps and lodges in Kenya's prime game viewing areas. Offbeat Safaris have become well known for offering exceptionally high standards of guiding, service and accommodation, whilst not compromising on the true nature of being on safari. 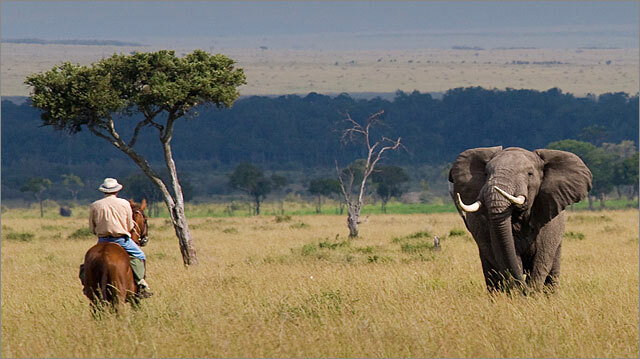 Experiencing this raw wilderness is what makes our safaris so special. To find out more about our unique collection of safari camps and lodges, please click here. To find out more about our mobile tented horseback safaris, please click here.